This is the first time I tried this flavor and I love it. It's not too sweet! It tastes just like an almond joy or coconut Easter egg! I will definitely order this again. So glad to see chocolate/coconut back! 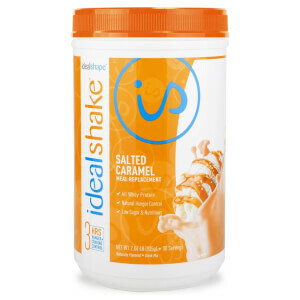 Two of the best flavors IdealShake make are chocolate/peanut butter and chocolate/coconut. So glad they have the chocolate/coconut back in their flavor lineup. Just a scoop of the powder, a cup of water, a handful of ice cubes all mixed in the blender and I have a thick, creamy, delicious breakfast. So easy. Takes no time at all to mix up and it keeps me filled up til lunch time. THANK YOU for bringing it back!!! The chocolate coconut flavor is absolutely delicious!! It was originally one of the specialty flavors, which went away. I was so happy when they brought it back! Well worth the wait. Really my favorite flavor!! This is amazing I love it taste like coconut chocolate milk it’s so delicious it’s amazing doesn’t make feel like am on diet even if I add water to it tastes good. This flavor was delicious. I use unsweetened vanilla almond milk and the shake tastes like an almond joy. Would definitely buy again. 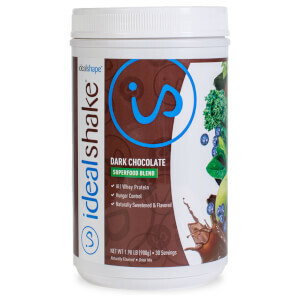 If you like coconut and chocolate, then you need to try this shake!!! Please please please bring back! 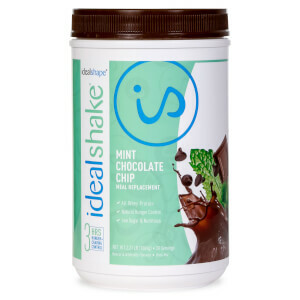 This shake flavor was my absolute favorite chocolate coconut!!! 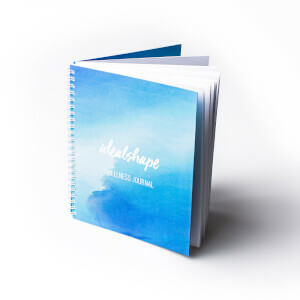 I recommended it to several people to try & they purchased! Last time you were out of stock my cousin was so sweet to give me the rest of hers because someone said you weren't going to carry it anymore. I don't know if one opinion matters but seriously this is the best protein flavor ever and I have tried a lot of different kinds. I would literally buy 3 tubs of it if you brought it back even if only for a limited time. It's perfect to have at any time of day especially right after a workout before bed! I have tried many of the flavors of the shakes and the chocolate coconut is by far the best. It is not sweet like some of the others and has a true chocolate coconut taste. I actually look forward to drinking this each morning and I am hoping that it becomes a permanent flavor. The flavor in this is delicious and the perfect addition to coffee, almond milk, or chocolate almond milk. Also, it is tasty with half a scoop of this and the mocha flavor. Or mixed with the mocha. This is the most filling weight loss shake I have ever tried. The taste is amazing. I was actually so sad when I finished the first shake because it was all gone. It is so yummy and creamy. Love it.